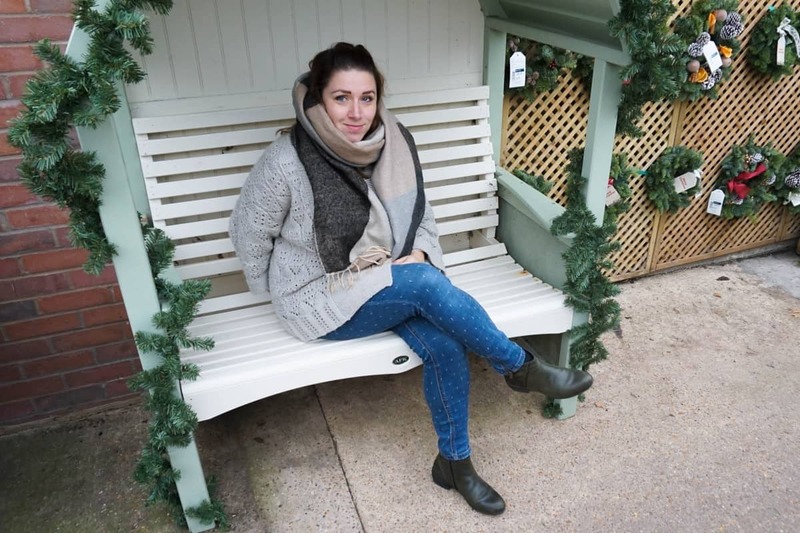 Style: WolkyShop Boots & a giveaway! A couple of weeks ago I took a trip to the WolkyShop store in Brighton’s North Lane area. The shop is located in Bond Street and is full of amazing styles of super comfortable shoes and boots, for men and women. The shop is cosy but there is plenty of space to browse all the styles available and to sit and try on in comfort. 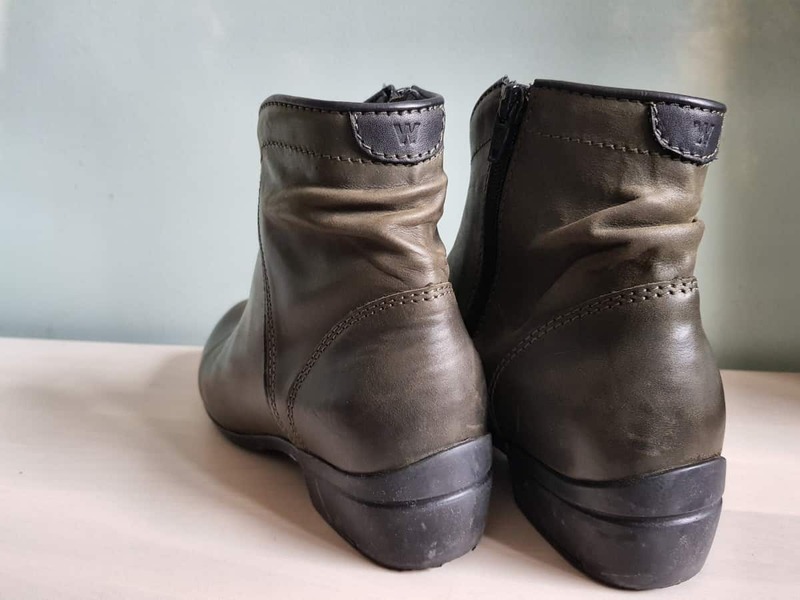 I had been asked to pick out a pair of shoes or boots to see me through the winter and after being faced with a big decision as to which style to go for, I eventually chose the ‘Winchester’ style in this gorgeous forest green, with black piping. I’ve worn them with skirts, dresses and jeans and I think they go well with anything I pair them with! 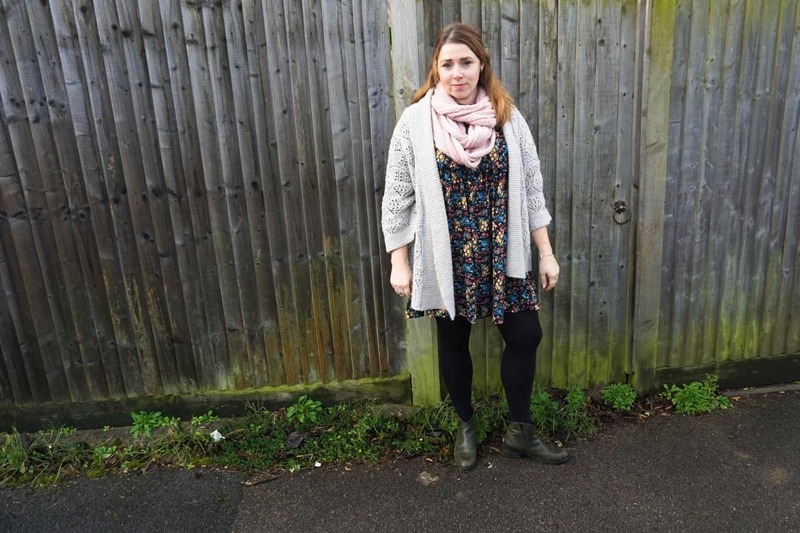 I wore them to an afternoon tea in a fancy country house with a tea dress and tights, and wear them with jeans on school runs and shopping trips, and I felt confident and comfortable. Wolky means ‘cloud’ in Dutch and I can see why! These boots really are so comfortable with a removable insole that’s really soft and shaped to the sole of your foot. 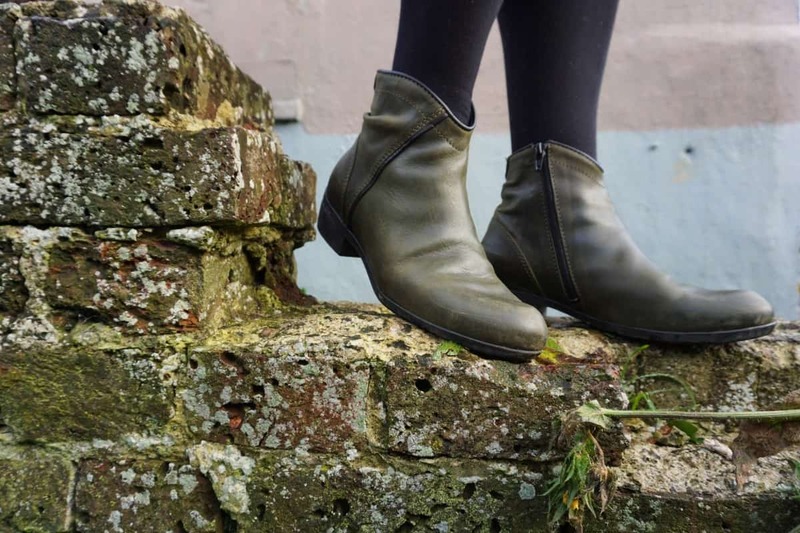 I chose a style with a smaller heel so that I could comfortably wear them during the day when I’m out on the school run, walking around town or anything else I need to do without getting achy feet! I thought the style of these boots was really flattering as they cut just at the right place on the ankle for a slimming, leg lengthening effect. I also love the subtle ruching to the back of the heel. A zip fastening means they are secure and won’t gape, and the leather is so buttery soft there would be no chance of rubbing anywhere! I also love that they have a rubber sole as it means there’s far less chance of slipping or sliding especially in this icy weather we’re having! 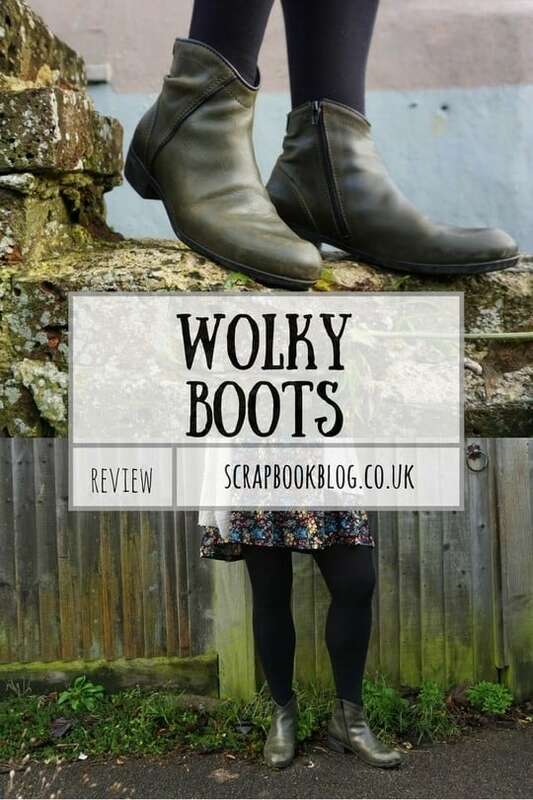 The lovely people at Wolky Shop have very kindly agreed to a giveaway for my followers, so one lucky winner will be able to choose a pair of shoes or boots from the Wolkyshop website that takes their fancy! 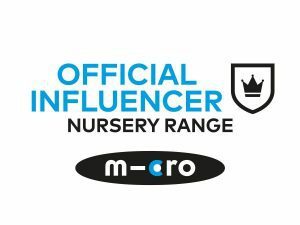 Will you go for knee high boots, walking shoes or comfortable trainers… whatever the winner picks I can guarantee they’ll be comfortable! Enter below for your chance to win, and good luck! I’ll be picking a winner on Sunday 14th January. You can also enter for a chance to win a gift voucher for WolkyShop here. I received a pair of boots for the purpose of this review. Thanks for this, I love the City Tracker walking boots as they look perfect to wear, when I’m out and about walking. What a great range – and a hard choice to pick one. I love the Yarra, Masala…and a couple more.